The YDP-S52 is equipped with the " Pure CF Sound Engine ". The piano sound was recorded by the famous Yamaha CFIIIS concert grand piano. This technology offers the player an exceptional playing experience. A total of 192 tones can be played at the same time, giving a natural reproduction even with complex piano pieces with a strong use of the sustain pedal. The Yamaha YDP-S52 allows you to enjoy relaxed, stress-free playing, whether you're practicing or playing in class. The hall effects simulate the natural sound as in a concert hall or other rooms. Experience the ambience of a jazz club, a church or many other rooms - in your living room. Concert hall - Bright, fat reverb as one knows it from large concert halls. Chamber - Quiet Hall of a large room for chamber music, for example. The Stereophonic Optimizer allows the player to hear scattered sound as if he were sitting in front of an acoustic piano - and when using headphones. When the Stereophonic Optimizer is selected, the Clavinova sounds as if the sound came from the body and not from the immediate vicinity of the ears. This ensures a natural and comfortable sound experience and lets you forget all the unwanted effects of a headphone. At home it is practical to be able to regulate the volume, since loud playing is not always desired here. But at low volume, treble and bass are often not good to hear. To counteract this, the Intelligent Acoustic Control (IAC) in the Clavinova automatically adjusts the settings so that you can enjoy a balanced sound even at low volumes. In the case of the YDP-S52 so-called " Acoustic Optimizer " have been installed which optimize the natural sound of the instrument. A new technology that could be developed thanks to Yamaha's experience in piano making, so you can enjoy a perfect sound experience. The free "Digital Piano Controller" app allows you to use the numerous functions of your Yamaha Digital Piano easily with your iPhone or iPad. You can change sound colours, effects, and many other settings by simply selecting the desired function from the touch screen. In this way, you can also save your favorite settings and call them up at any time. 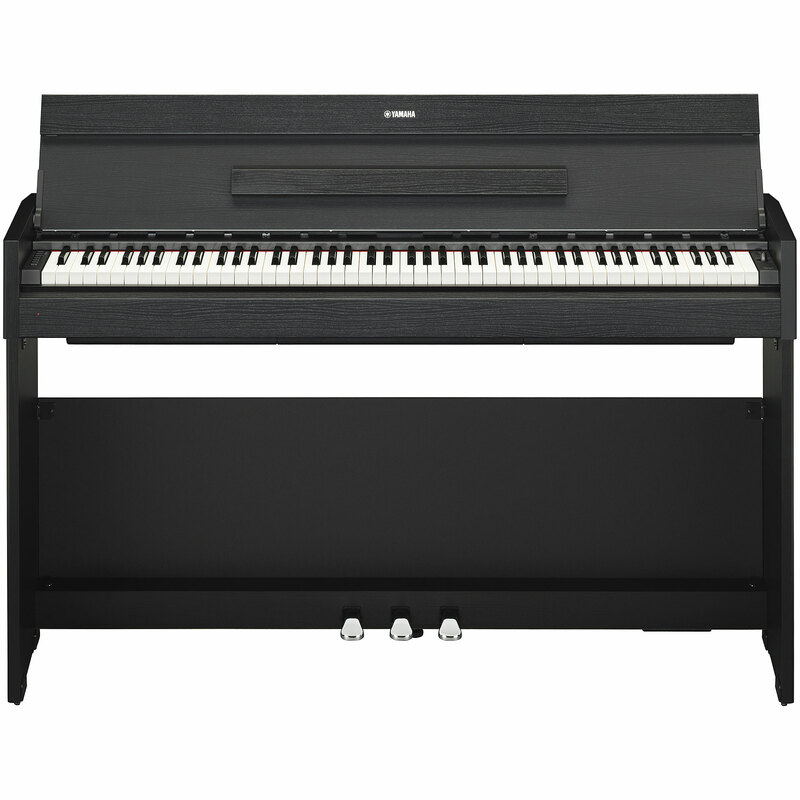 The Yamaha Arius Series provides the perfect introduction to the fascinating world of digital pianos. The electric pianos of the Arius series convinces with their authentic feel, natural sound and the velocity of a real piano. The Pure CF Sampling voices provide realistic sound, the damper pedal also features a half-pedal automatic, which allows precise control over the duration of the fade-out. In addition, the Arius models offer an integrated song recorder with which your own music ideas can be recorded. 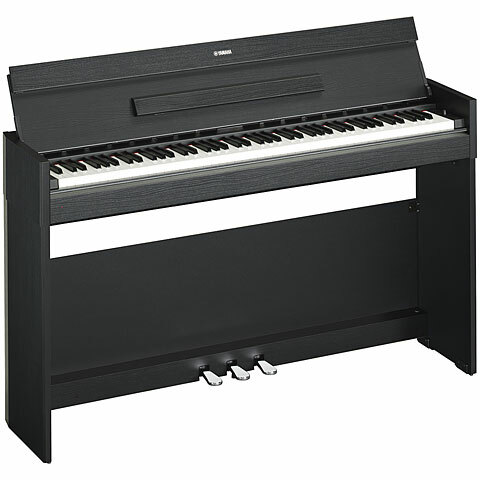 The electric pianos from the Yamaha Arius series are the first choice if you want to buy an inexpensive first electric piano. Equipment, sound, feel and look of the modern Arius series are unbeatable in this price range.